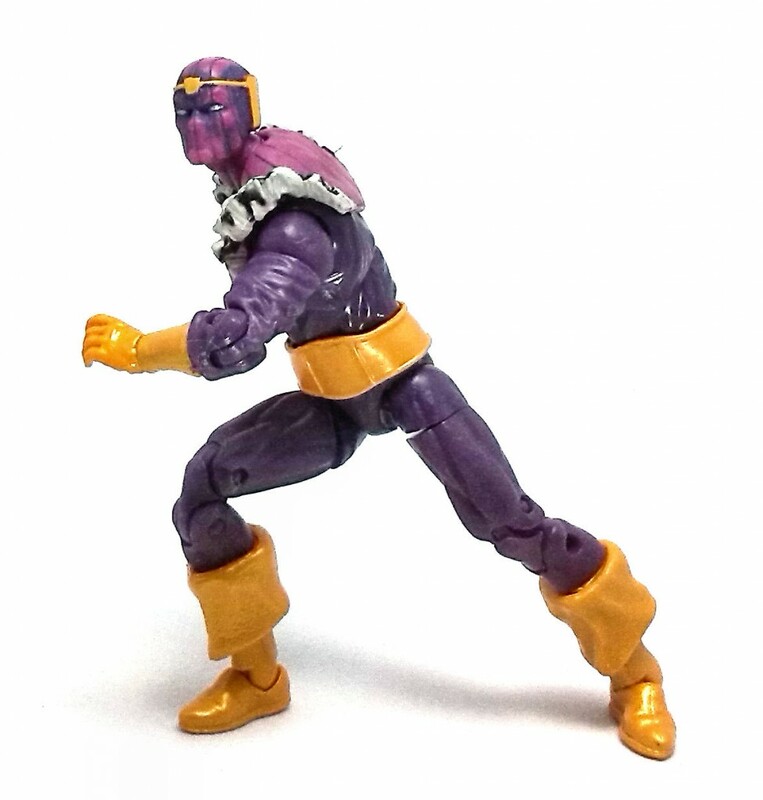 Even though Baron Zemo had already been released in Hasbro’s Marvel Universe line as part of the Masters of Evil batle pack way back in 2012, he got a reprieve within the fifth and last series of figures. 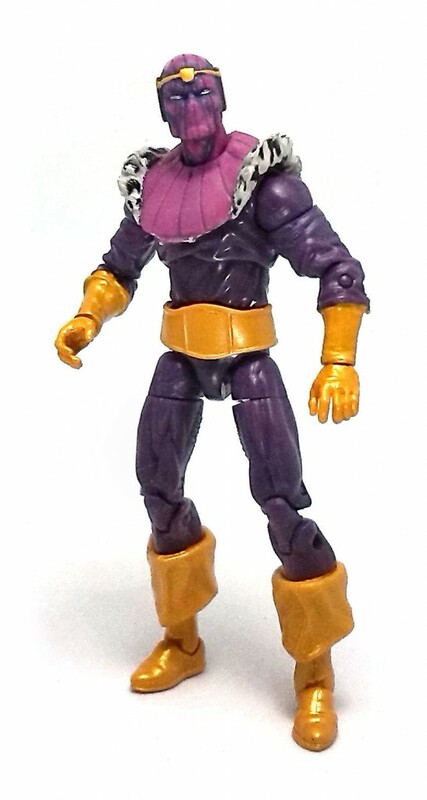 Zemo is based off the second-generation male athletic body, although the upper torso was sculpted with looser clothing and displays a fair amount of simulated wrinkles. His costume included a few extra rubber attachments to further personalize the outfit, like the belt piece and a padded collar piece with fur trimmings at the shoulders. 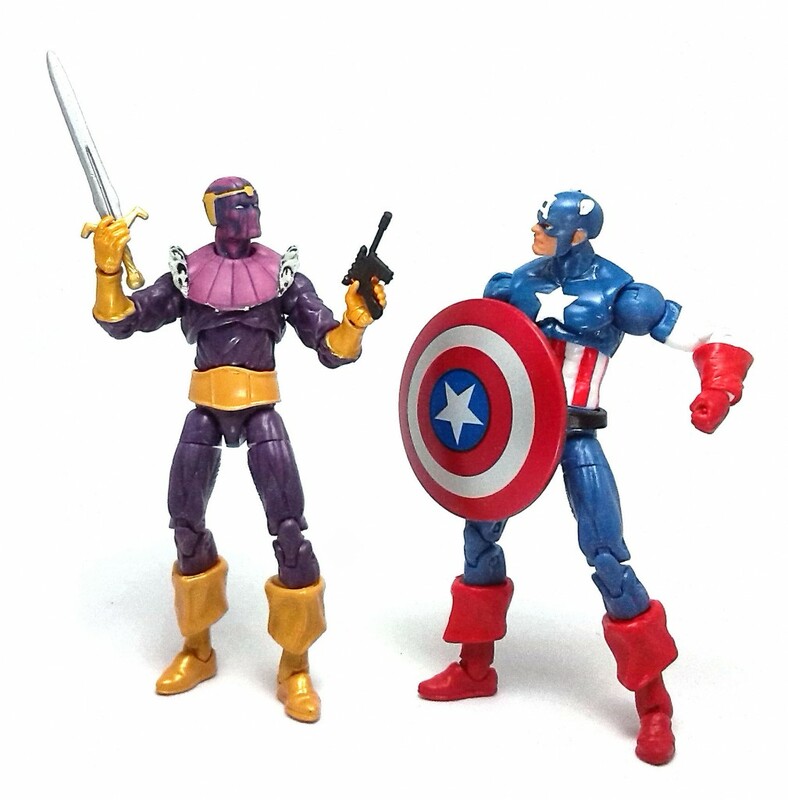 Oddly enough, the Battle pack version of Zemo had similar furry trim on the cuffs of his boots, but the single carded version has that the exact same footwear they used for Captain America. The head sculpture is pretty unique, with the small crown piece and engraved lines running down around his head. The extra wrist articulation is fairly unusual for a figure in this line, but it is always a nice feature to have. The rest of the joints feel sturdy and work great to pose the Baron in deep, dynamic stances. 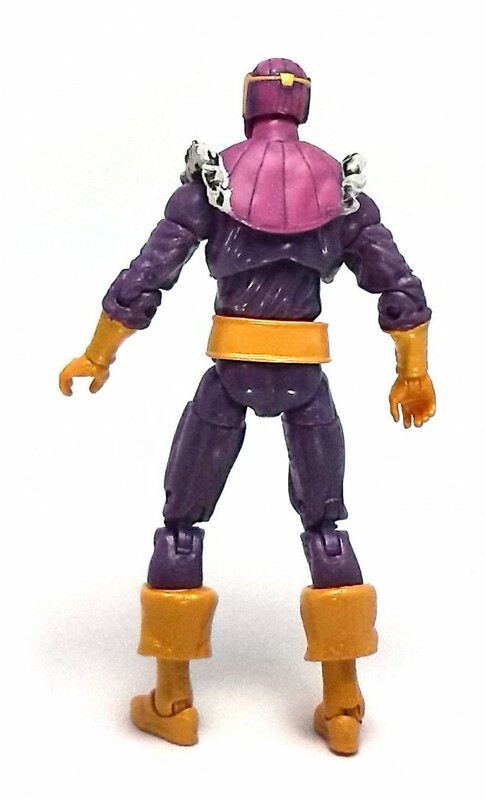 The paintjob on Baron Zemo is almost non-existent, The head and collar piece display a purple shading wash and the golden glove cuffs are painted onto the deep purple plastic of the uniform, but as the figure was essentially cast in the final colors of plastic. The eyes and fur trim on his outfit were painted neatly in white, but the furry bits also got a heavier black wash to enhance the sculpted texture. Baron Zemo comes equipped with a Mauser pistol and a sword. The pistol was simply molded in black plastic and left unpainted, but the sword was nicely decorated with a golden hilt and bright silver blade. Unfortunately, the Baron’s superbly articulated hands cannot properly hold any of his accessories, as the grip is too wide to grasp his weapons. This is the only aspect of this figure that really lets me down. I guess I could try the boil and freeze trick to try and tighten the grip, but I suspect I’d be better off simply using clear rubber bands to keep the accessories in place. 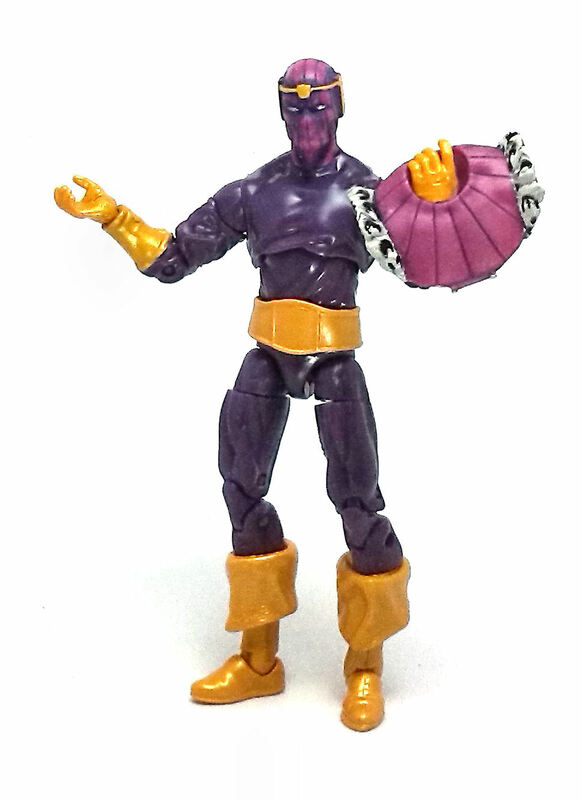 Overall, Zemo is a neat figure, but I wish he had better designed accessories with him.